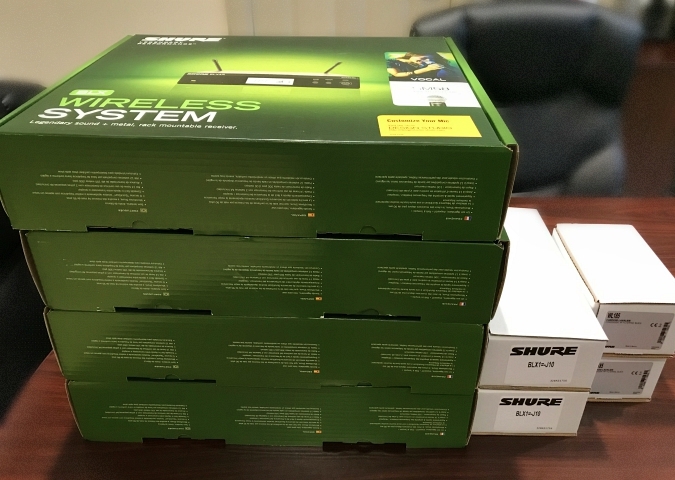 our shipment of new microphones arrived at the theatre this week and we're excited to set them up and put them to use! it's like christmas over here! stay dry today, it's raining like crazy! They look like good quality mics. The sound will be terrific. It is always fun to get something new, even if it is only for work.